Nate Welch collaborated with Old Ox brewer’s to bring you Kelly’s Pumpkin Ale. Kelly’s Pumpkin Ale is styled after Northern English Brown Ale with pumpkin and spices added. Don’t be afraid of the 8% ABV as this beer tastes like Grandma’s pie and is a delicious treat that will have you wanting seconds. 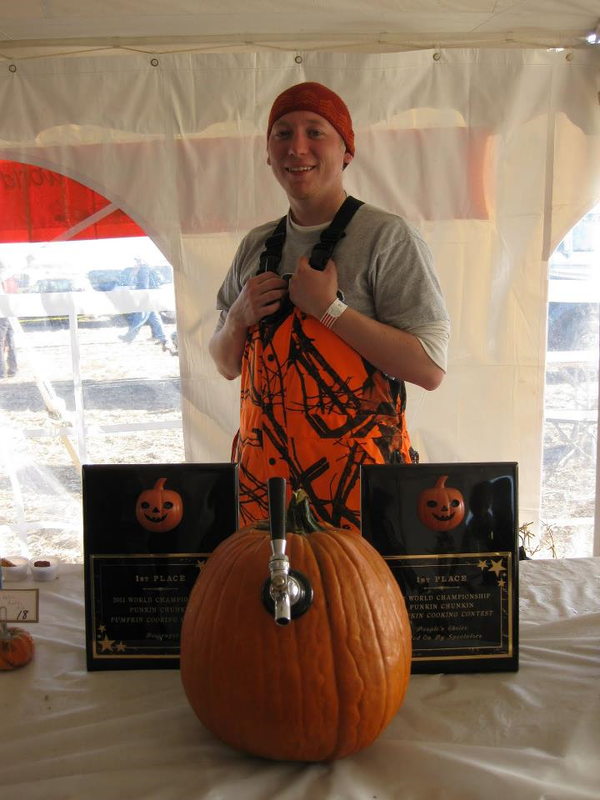 It was first brewed for the World Championship of Punkin Chunkin competition, where it has won both the Beverage Category (2011, 2012) and People’s Choice Best of Show (2011) awards. Nate has been homebrewing for 15 years and a member of NoVA homebrew since 2009. And who is Kelly? This beer was named in honor of Nate’s wife! The Tasting Room is open from Noon to 6:00 p.m. Arrive early…quantities are limited!